In this Aug. 3, 2018, file photo, Kansas Secretary of State Kris Kobach addresses supporters during a campaign stop in Pittsburg. Grand jury proceedings to investigate former Kansas Secretary of State Kris Kobach’s office will begin next week in Douglas County District Court, according to the judge presiding over them. Judge Kay Huff said that the proceedings would begin in her courtroom on Jan. 22, a Tuesday, following Martin Luther King Jr. Day. Grand jury proceedings are closed to the public. 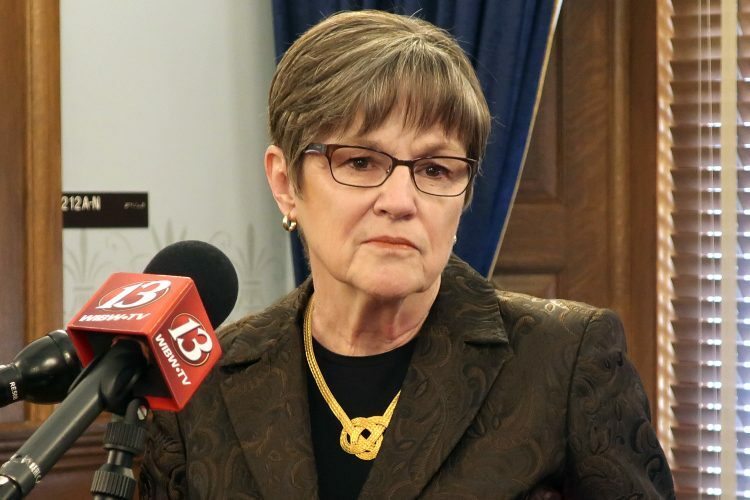 Huff mentioned the grand jury during a hearing for a murder trial she had been scheduled to preside over this week, noting that the grand jury matter was a priority that could not be moved despite other proceedings in her courtroom. The judge anticipates selecting the jury and calling the first witness all on Jan. 22, Douglas County District Court Clerk Douglas Hamilton said. After the first witness’s testimony, the jury will determine the course of the inquiry. Under state law, the grand jury could request Douglas County District Attorney Charles Branson’s office to participate, or it may request that a special counsel and outside investigators be hired to lead the investigation. Branson’s office has said previously that it would participate if asked. 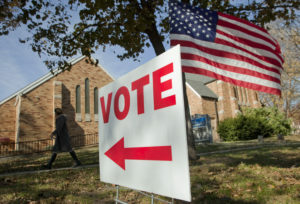 In November, the Kansas Court of Appeals ordered Douglas County District Court to summon a grand jury to investigate allegations of election-related crimes in Republican Kobach’s office during the 2016 elections. Once the grand jury is impaneled, state law requires that the first witness to testify must be the person who initiated the petition drive. 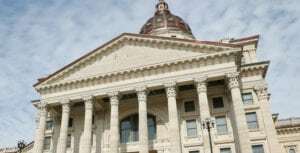 In this case that is Steven Davis, a Lawrence resident and unsuccessful Democratic candidate for the Kansas House in both the 2016 and 2018 elections. When Davis circulated petitions in 2017 to summon a grand jury, it was the second time he’d done so. His first attempt in 2016 was rejected by then-Douglas County Chief Judge Robert Fairchild because it failed to state specific allegations of illegal conduct. 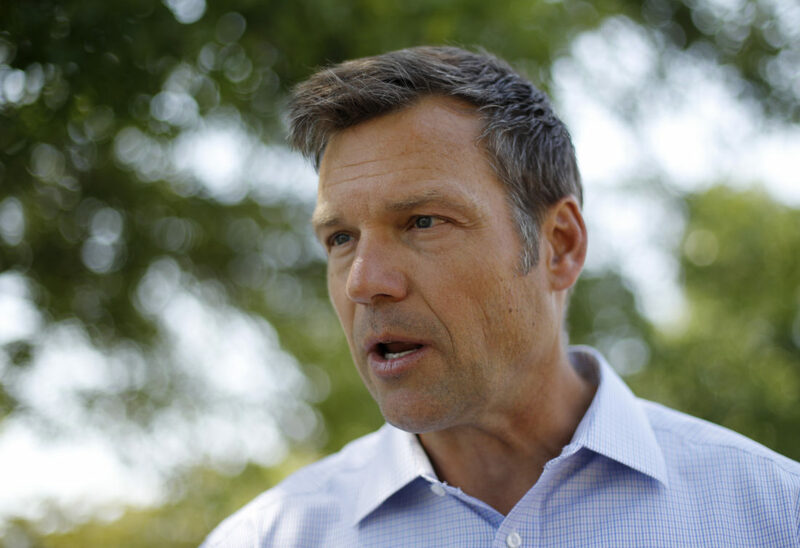 Davis has alleged that Kobach’s office failed to properly register a number of voters in 2016 who applied for registration while renewing their driver’s licenses or filling out an online form through the Kansas Department of Revenue’s website. Kobach’s office has called Davis’ allegations “patently false” and accused him of using the petition process for political gain. 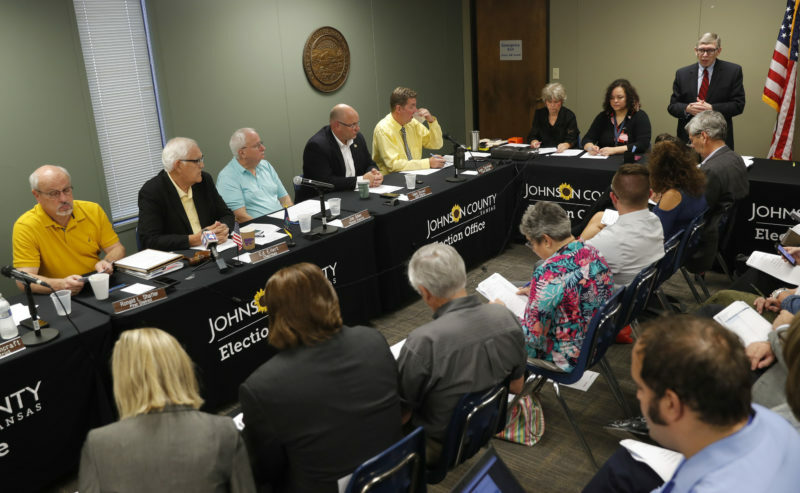 The office said the allegations concern a brief period in 2016 when online registration systems were malfunctioning and that election officials at both the state and county levels had worked quickly to make sure the affected voters were able to cast their ballots. In the fall 2018 election, Kobach lost his bid to become governor of Kansas to Democrat Laura Kelly. Kansas is one of only a handful of states that allow citizen-initiated grand juries. The state’s first such law was enacted in 1887 and amended in 2013 to make it easier for citizens to petition for grand juries. 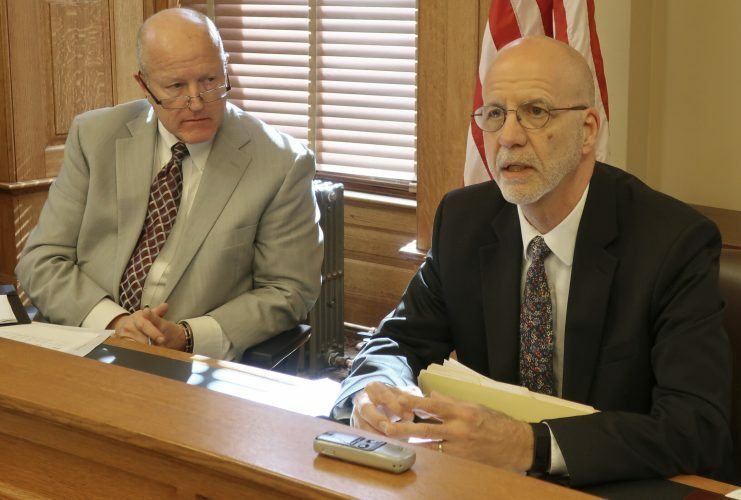 Douglas Hamilton, Douglas County District Court clerk, answered some questions about how the selection process will work for the citizen-initiated grand jury investigation into the office of former Kansas Secretary of State Kris Kobach. • How many potential jurors are being brought in for the selection process? • How many will be chosen? A total of 21. There will be 15 chosen for the jury, per Kansas law, plus six alternates. • What’s the timeline for the process? The judge anticipates that the jury will be impaneled, a foreman selected and the first witness called all on the first day of the process. Once testimony from the first witness has started, the grand jury itself will determine how the inquiry proceeds. • How is the process different from typical criminal or civil jury selections? Normally attorneys from both sides question potential jurors in court, as a means of choosing a fair and impartial jury. In this case, the judge will select the jury by asking questions from the bench.